Kimchi sharing event is the ninth event in 2016. We provide kimchi to the neighbors in need by collecting donations from various institutions such as Emart Seogwipo branch, 128 combatant police unit, Joongdong Patrol Division in Seogwipo, Jeju United, etc including voluntary donations which is collected for 1 year from the retailers and profits collected from the Women Merchants Associations at the food market of Olle festival. 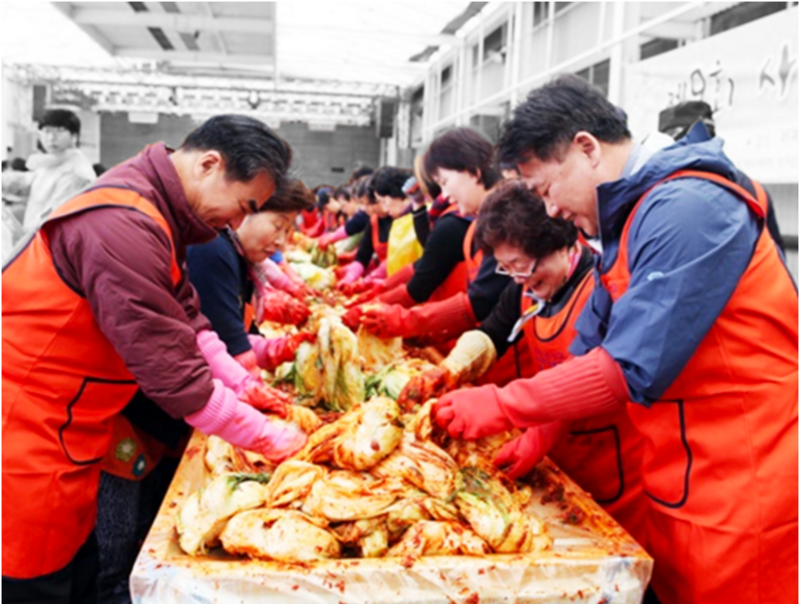 The Kimchi prepared through the festival conveyed warm love to neighbors by delivering the Kimchi to 250 people and institution including senior citizen, unfortunate youths, senior care centers and military units.